Staff Selection Commission (SSC) will release the Combined Graduate Level (CGL) Examination, 2018 (Tier-I) official notification today. SSC CGL 2018 Notification: Staff Selection Commission (SSC) will release the Combined Graduate Level (CGL) Examination, 2018 (Tier-I) official notification today. SSC CGL examination or SSC CGLE Tier I is conducted for selecting candidates for Tier II examination for filling up different categories of posts in various Ministries/ Departments/ Organisations of central government. Every year close to 15 lakh candidates appear for SSC CGL recruitment. Last year's SSC CGL recruitment was marred by allegations of paper leak in Tier II. SSC had conducted re-examinations for the all candidates who had appeared for SSC CGL tier 2 tests on February 21, 2018 all venues across the country. The commission had earlier cancelled a Paper - I Quantitative Ability exam held on February 21 on technical grounds and rescheduled it for March 9. 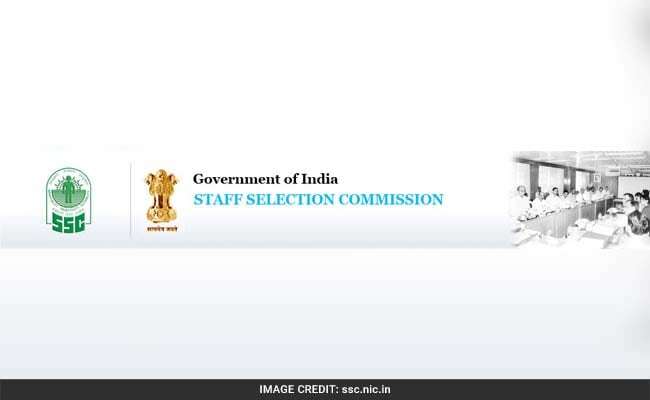 Last year SSC had released vacancies for posts including Assistant Audit Officer, Assistant Accounts Officer, Junior Statistical Officer and many other posts. Last year, all Women candidates and candidates belonging to Scheduled Caste, Scheduled Tribe, Physically Handicapped, and Ex-Servicemen eligible for reservation were exempted from paying application fee, as per extant government orders.